Knopf Books for Young Readers, 9780553512304, 48pp. 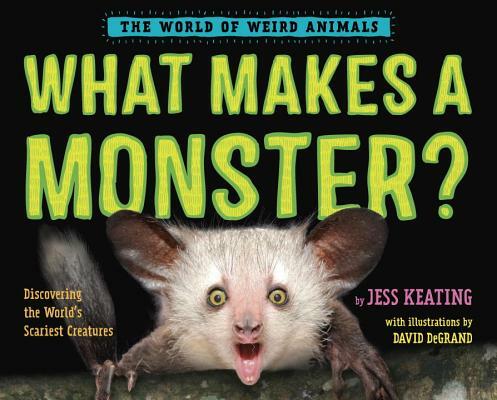 Monsters are real—and they're everywhere in nature! Animal Planet meets Godzilla in this nonfiction picture book that puts the "Ack!" into backyard science. Some people think monsters are the stuff of nightmares—the stuff of scary movies and Halloween. But monsters can also be found right in your backyard. Animals like aye-ayes, goblin sharks and vampire bats may look scary, but they pose no threat to humans. Others, such as the prairie dog, seem innocent—cute, even—yet their behavior could give you goose bumps.